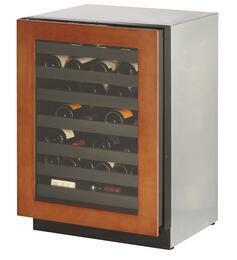 Wine coolers help store your special vintage collection with the highest standard of care. 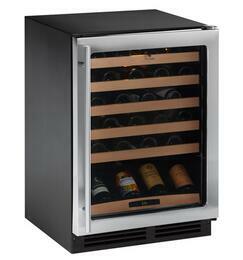 These cooling systems differ from the standard refrigerators in which temperature, humidity, and vibration are beneficial to a wine's flavorful taste. For instance, a lack of humidity causes corks to shrink, therefore if you store a bottle of labrusca in a regular fridge, it can end up tasting like leftover shrimp scampi. 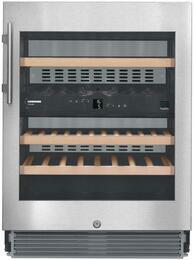 Find a wine fridge that's suitable for your bottle collection and culinary palate. 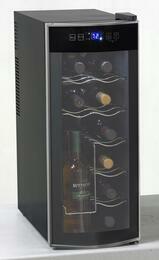 Small wine fridges have a capacity as low as 6 bottles, perfect for those who like to enjoy an occasional glass with a meal now and then. 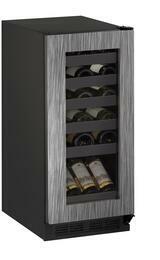 For aficionados with a refined taste for reds, whites, and bubblies, select models can house up to a staggering 150 bottles. 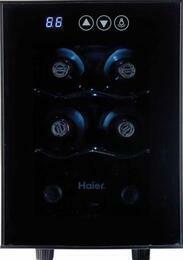 Going beyond single zone and dual zone coolers, a few are equipped with triple zones. 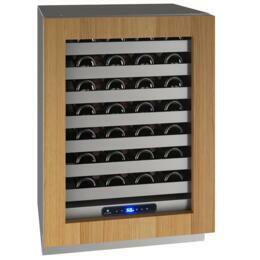 This allows you store 3 different types of wine, each at separate ideal temperatures. 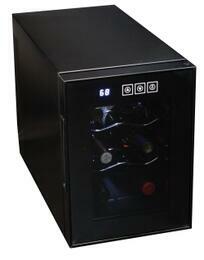 Wine refrigerators can either have a compressor or thermoelectric cooling system. 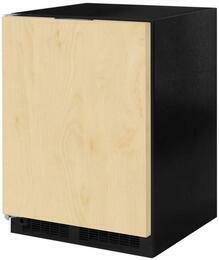 Models with a compressor uses the same equipment as refrigerators to ensure a chilled interior. 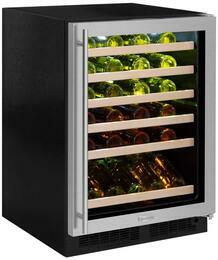 If you prefer minimal noise distractions, Thermoelectric wine coolers are vibration free, run quietly, and more energy efficient. 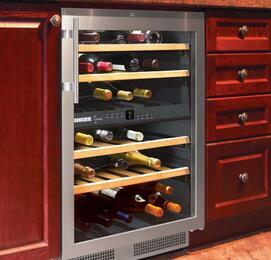 Built-in wine coolers can be integrated into cabinetry for a custom look. 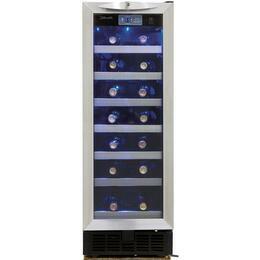 They can even be paired with other built-in column units, such as all refrigerators and upright freezers, for a personalized refrigeration system. 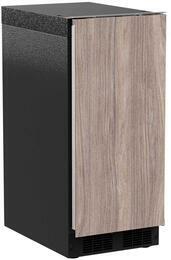 Some have a compact size, which make them great for undercounter installations. 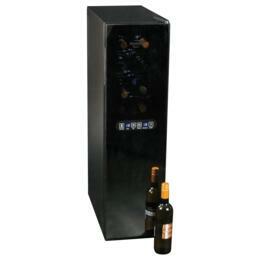 For a more flexible option, freestanding wine coolers will be a great fit in almost any area of your home. 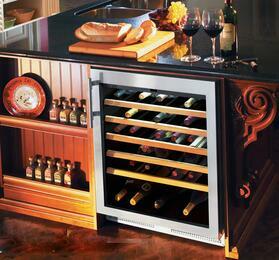 Complement your vintage collection with an assortment of wine cellar accessories. 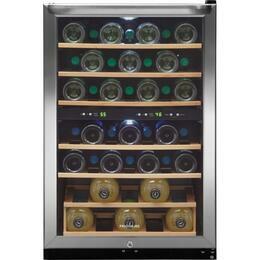 Whether it's upgrading your storage unit with wine cellar doors or looking for a wine glass set as a housewarming gift, you'll find almost anything you need for an enjoyable wine tasting experience at Appliances Connection. 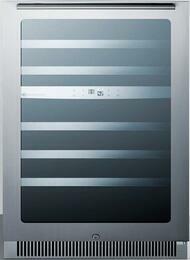 Explore stainless steel, black stainless steel, white, black, along with a variety of color finishes from top manufacturers Danby, Frigidaire, Monogram, and more. 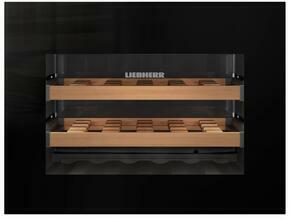 Total Capacity: 2.9 cu. ft. 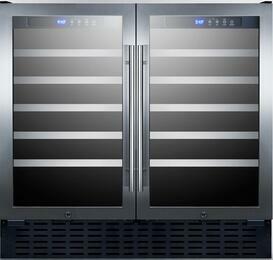 Receive Up To $200 Off on select Models of the industry's Leading Wine, Ice and Refrigeration Units. 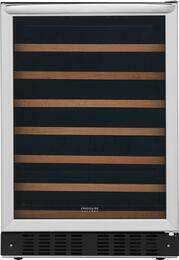 Mississippi, New Jersey, New York, North Carolina, Northern Ohio, Pennsylvania, Rhode Island, South Carolina, Tennessee, Vermont, Virginia and West Virginia only.